Every one of us wishes to own a house where everything is perfect whether it is location, facilities or luxurious amenities. To make your life very special and enticing, Ubber Mews Gate strives to provide residential and commercial property at affordable prices. 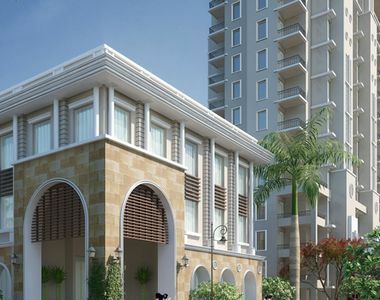 Spread over 8 acres of land, Ubber Mews Gate Kharar offers competitively priced apartments to those home-seekers who are looking for a stylish and classy lifestyle. Having every element of meticulously designed architecture the township revolves around a perfect blend of lush green lawns, magnificent landscapes, flowers, and trees. Its focus on quality, superiority in planning, construction and especially customer satisfaction differentiates it from various other projects nearby. The spacious 2 and 3 BHK apartments here provide best living art space for families and the 4 BHK duplex penthouse at the third floor covering an area of 2850 sq. 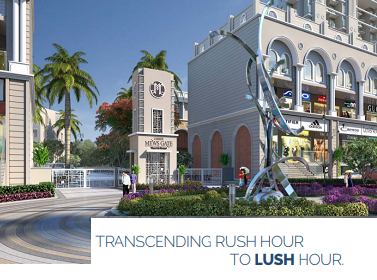 ft. will provide the residents a grandiose living experience. The location near Chandigarh Ropar Highway makes Ubber Mews Gate Mohali well connected to all the important landmarks. Its strategic location and unmatched connectivity with NH-21 connects the township from renowned universities and institutes. Plenty of well-known global schools are in close proximity to the township to provide the best education facilities. The Max Hospital and VR Punjab Mall are just minutes away from here. Just a walk away is the market, malls, cafes, and restaurants in the vibrant streets of the city. All the extravagances are provided in the township which includes swimming pools, multipurpose halls for parties and functions, wide play area for kids, tennis, badminton and basketball court, fully-equipped gym with professional trainers, clubhouse etc. The ultra-modern kitchens in the apartments are well-equipped with every essential, four-fixture bathrooms and European styled toilets sophisticatedly designed. The beautiful finishing to the floors and wooden elements including tiles and furniture is outstanding here. The super-shiny floor from supreme quality marble is like a treat to everyone’s eyes. The eco-friendly architectural design keeps every room alive and well-ventilated. The architecture strategically integrates features with yoga and meditation center that minimize the overall health issues and ensure the wellbeing of all age groups. A water harvesting model and garbage control system ensures the pollution-free environment for the residents. The noise-free atmosphere looks more pretty with greenery surroundings which provide sufficient openness and air. Moreover, round-the-clock hi-tech security with 24/7 CCTV surveillance keeps the residents safe and relaxed. With a separate entrance and exit of vehicles and wide space open and closed parking the builders provide housekeeping and other daily conveniences services to the residents. The super spacious apartments at Ubber Mews Gate are priced in a range varying from 39.90 lakhs to Rs. 72.90 lakhs. So, hurry up and grab an opportunity to own a home here which will become the ultimate peaceful heaven for you.